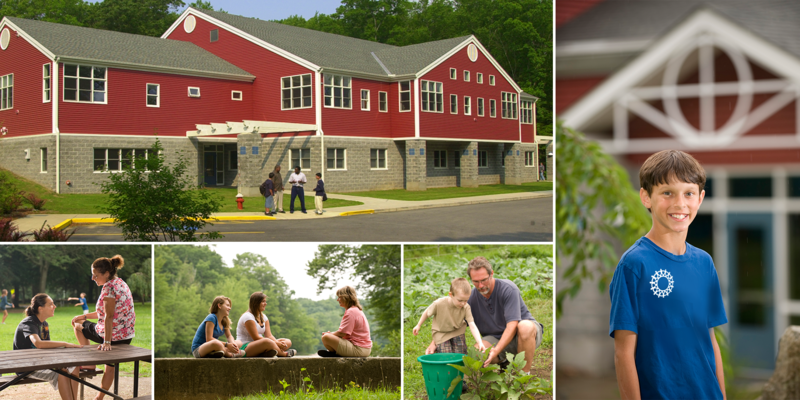 The special education program is based at the Levine Education Center, a modern facility on the Waterford Country School 350 acre campus in Quaker Hill, Connecticut. Built in 1999, the school consists of two floors, eleven classrooms, computer lab and administrative offices. The campus also features a multi-million dollar gymnasium and fitness center, the farm based pre-vocational education program, fitness trails, lakes, streams, and many other experiential education activities. See an overview of our facilities here. WCS students are children in Kindergarten through 12th grade with specialized emotional and behavioral needs. Children from surrounding towns that are receiving special education services but are still struggling to maintain their grades and attendance in public school. Each of our students is unique and special. We believe that “Children will do well if they can. If they can’t then we need to figure out why…so we can help.” By leveraging close relationships between students and staff, involving families as much as we possibly can and treating each moment as an opportunity for personal growth and success, we really can make a difference. A typical school day is from 8:30am -3:15pm. The school maintains a low student to teacher ratio, allowing highly personalized instruction . In addition to academic instruction, the education program provides creative ideas for personal achievement and improvement initiatives. Our goal is to enable students to better meet the challenges they face in their school, family, and community. One of the highlights of our education program is the daily inclusion of outdoor experiential education. Students are actively involved in the wildlife rehabilitation center, nature center and vocational education classroom at our farm. The students have the opportunity to learn how to care for a variety of domestic animals and exotic pets who come to Waterford Country School for rehabilitation or retirement. Each student spends at least one period a day at the Children’s Farm to enhance the overall education experience at Waterford Country School. Clinicians work with each student to find the services they may need for their specific learning challenges. Our own summer camp and afterschool program are also available to our students right on campus. Waterford Country School, Inc. participates in the U.S. Department of Agriculture’s National School Lunch Program.